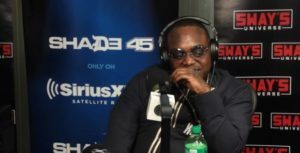 Peewee Longway recently sat down at the sway in the morning show and gave an interesting interview. He talked about his career and how he and Migos started at Gucci Mane’s old studio, the “Brick Factory” in Atlanta. He said that one of the most important career boosts was that Gucci Mane kept taking them to perform at the most popular open mics in the city. He said he went to places he would have feared performing at, like the world-famous gentlemen’s club “Magic City”. If it wasn’t for Gucci he would have never performed there. Performing at the open mics gave him major exposure in his city and helped to reach a broader audience and build up his fanbase. Another important benefit of open mics is learning how to perform. Your performance can make a great impact on how good or bad you get perceived by an audience. It’s being on stage that gives you the best and direct feedback for your music. In addition to that you’ll often find important people of the music industry in the crowds that are looking for new talent, so don’t underestimate the power of open mics. This will lead to contacts and increase your network. You want to have the right friends in the audience. Be aware that there are also some lesser legit “industry professionals” in the crowd, so whoever you network with, make sure to check their track record to find out if the person really can help your music career or not. If you have our newsletter and know our products you know that I often talk about omnipresence. If you want to build a fanbase it’s absolutely essential to be everywhere your potential fans are. Make yourself known in your city and provide people with your music everywhere possible. It doesn’t always have to be an open mic show in Magic City; it can also be a smaller, lesser-known club, but you have to perform and get your music out. So, you don’t have to perform in the biggest clubs all the time, but also don’t make the opposite mistake by performing only at your local club and/or small clubs. Be aware that there is no perfect time to get to an open mic in the most popping club in your city. Think about it – Peewee Longway and Migos first felt uncomfortable performing at Magic City’s Rap Wednesday, but if you are serious about your music you have to make that step that brings you closer to your goal, even (actually especially) if it makes you feel a little uncomfortable. If you read this blog post, I want you to find out about the open mics in your hometown and nearby cities and enroll in as many as possible. Mark them in your calendar on your cell phone and visit each and every one of them. And as soon as you hit the stage, own it! Perform like the star you want to become and drag people’s attention to your music. Always keep a couple of mixtapes with you, so you and your team are able to provide new gained fans with your music instantly. And one of the most important aspects – stay consistent! Attend the open mic events on a regular basis. You won’t become successful overnight; you have to keep pushing and keep adding wood.